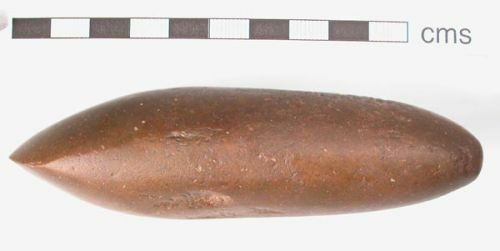 Neolithic polished stone axehead made from igneous rock with a mid-brown patina. In perfect condition, still retains sharp cutting edge. 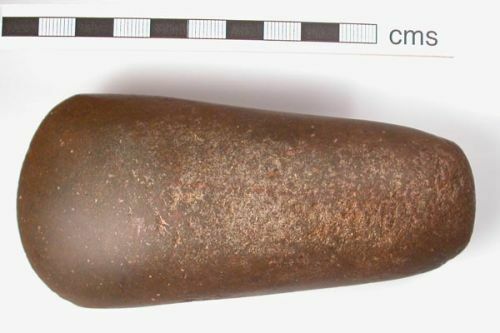 Examined by Dr Alan Bowden Curator of Earth Sciences at Liverpool Museum who identified it as not being of local stone, i.e., it has been imported into the region. Dr Bowden could not determine the source of the stone but suggested it could have been imported from the continent.